For sometime now, my offline lifestyle has really caused a major set back to this blog. Never mind, that is gonna be handled in no distant time. Yesterday, i tried creating an Instagram account via my Pc for the first time. I never liked uploading pictures more often, but ever since i had a change of mind, even my facebook friends can testify of the goodness of photo uploading in my life. Like i was saying, i really wanted to open an instagram account just like my friends (Obinna Dimkpa, Soki and many more). I needed to connect with things that matter. So i moved over to my Pc, input the url (instagram.com), but got lost when it was time to create an account. I searched for the "create an account" or "register" button on instagram but to no avail. "Is it that i have gone through the wrong link"? I asked my self." Immediately, i used the Frequently Asked Question (FAQ) still trying to see what could be wrong because i was already thinking i went through the wrong url. Finally, i remembered my post on how to run an Andriod application on a Pc. So i had to install it successfully and that was the end of my case. You want to know how i installed Instagram app on my Pc and successfully registered? If the answer to your question is YES, then this is how i did it. It is indeed a simple task. Simply install Bluestack on your Pc. 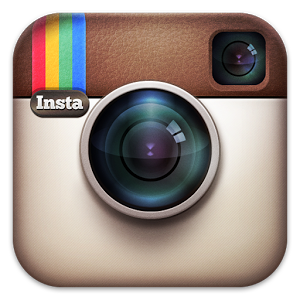 Upon completion of the installation process, go to the Google Playstore and install the Instagram app. You can as well install several other applications too. It is just a matter of choice. You may not want to do this on your Pc. Then get a smartphone today.Buy an Original Smartphone from Konga today. Let me hear what you think about this post. Use the comment section to tell me more about this update now. Nice info on creating instagram account for those who didn't created yet. Thanks for stopping by. Indeed many never knew the possibility of this. Very useful method to create instagram accounts, Actually I used smartphone to create accounts. But will try this soon. Perfect, Already using bluestacks and tried creating accounts on it. Thank you for your nice post man.